Enjoy your flight with this Luxurious Business class cabins from the International airlines, Well actually I never book the tickets for the business or even the first class on my trip since it's so expensive, on the previous post we have give you some example of the most Luxurious First Class Cabins of the International Airlines, and now how about the luxury business class cabins? You can choose this business class since it's cheaper than the first class but it's still has a premium service, At least better than the economy class cabins. Though similar in some respect to the first class options, but the stature of luxury wasn’t as elite for these Business class seating arrangement of Cathay Pacific. After going through some prominent corporate level changes, facilities like the seating were also changed. Now passengers can dine, sleep, work, read or just relax all within the same seating space, which has been given extra wide designs, with a unique shape to cocoon the guests in comfort, especially on long haul flights. 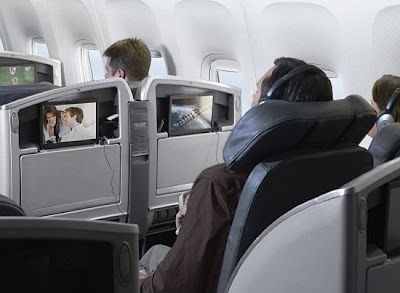 These seats were fitted with entertainment systems including the 15-inch LCD TVs with hundreds of movies and shows on demand, apart from a plethora of choice for music and video games. Also the multi-port USB connectivity helped to plug-in iPads and other personal computing devices, aided by the help from the control panel. When it comes to retiring at the end of the day, a simple few maneuvers could convert the seat into a 2 meter bed to relax on. Introduced as a part of the business class, the Delta Airlines lie-flat seats were the first examples in US based flights. 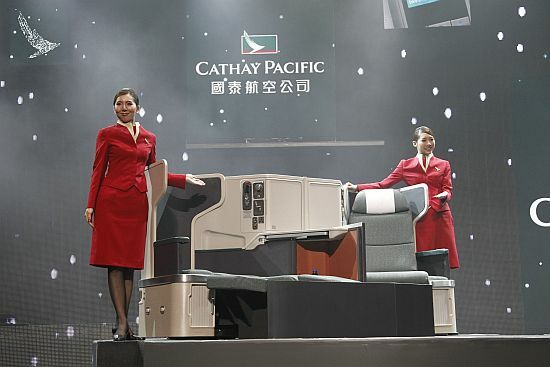 The features which set it apart were the reclining seats, adjustable to 3 comfort positions and conversion to a 6 foot 3 inch bed, entertainment system with fold out video monitor, foldable and height adjustable dinner tables, plus personal storage spaces for bags, shoes and other luggage. Also, the entertainment system allowed passengers on-demand movies and TV, along with a plethora of 12 video games to get entertained on. There was also a built-in system with which passengers could directly connect to the main aisle for services of the airline staff, without disturbing any of the fellow passengers. On the whole, it came with modern and stylish shaping, and the airline branding colors of blue and silver. This option might not have been as detailed as some of the other business class aircrafts, but certainly was a fair competition to the others. This class of seats was actually re-introduced with enhancements over previous designs with new variety for customers’ dining, greater comfort in each seat with broader seats and fixed foot rests, and the 15-inch screens for entertainment and multimedia usage. The control panel too saw some more practically viable changes suited to the target passengers. 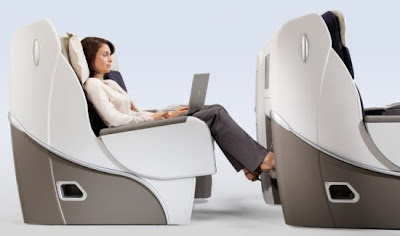 Check-out more about Air France business class seats here. In the age of cut-throat competition in every industry, Qantas Airlines went on a spree to differentiate itself from much of the competition. It was one of the first to offer designer made unisex sleeping clothes and toiletries kit for the passengers amongst other amenities. The seats were however generally spaced out, with a very soothing black and maroon color combination for design. 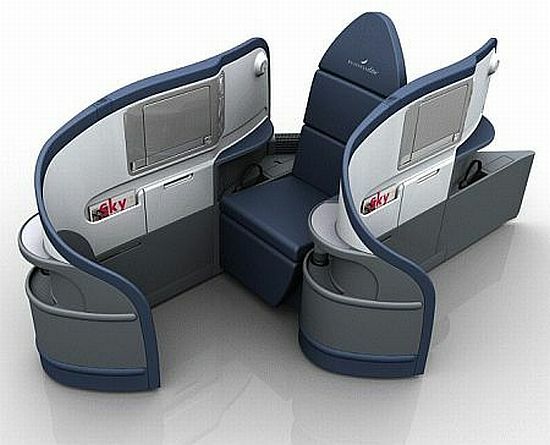 The flexible seating arrangement meant that consumers could stretch out to take naps on long haul flights when needed. Plying on Boeing 767-300 and 777 aircrafts, the next generation of American Airlines Business class seats, got the much needed futuristic upgrades it lacked. 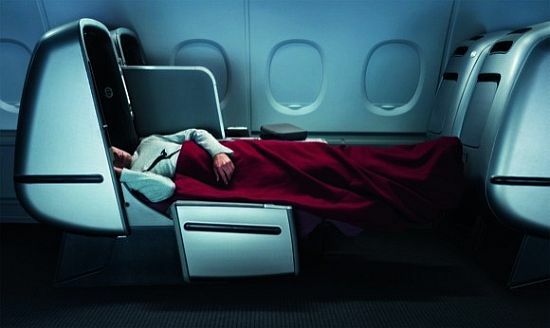 At the core, the concept was same, but the ergonomics changed with a more suitable set of up gradations, including the in-flight on demand video entertainment, overhead bins, the extendable, or rather the convertible seatings with possibilities for changing from seats to a make-shift bed, along with the extendable tray. Also each passenger was given his/her own amenities kit for keeping up their health and overall comfort. From what we know of, these seats were one of the first to be introduced anywhere in the world, with the theme of ‘Bed above the clouds’. What this meant, was referring to the flexible seating positions, which each passenger could adjust his/her seat to, as per needs; from soft water-bed like texture to a firm one, everything was now in the control of the passenger. Also the foot rests weren’t ordinary, as they had multi-speed foot massagers so that passengers could relax reading or entertaining themselves on the multimedia system aboard their flight. There was device integration too with USB connectivity, and iPod socket along with noise cancellation headphones for an optimum experience. Even the aesthetically designed side panels for stationary were new too. 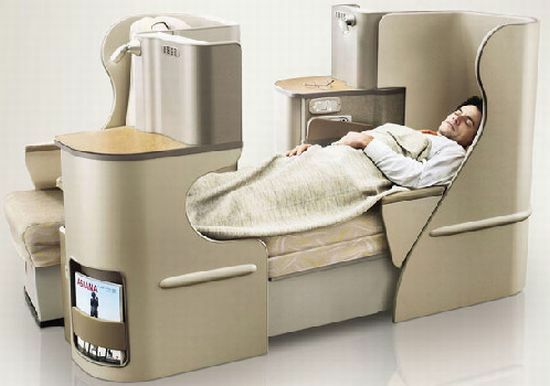 Check-out more about Swiss business class seating here. Introduced by the Korean owned Business air carrier Asiana Airlines, these new seats were a fresh and rather stylish additions for the premium segment of business travelers. The name itself is quite the mystery, which later unfolds into various interesting aspects; ‘Oz’ stood for the airline’s code, ‘Quadra’ stood for the 4-new additions to the seating arrangements, and ‘Smartium’ referred to the smart design of the new seats. These 4 new additions included the 74-inch long flat-bed seats, privacy features, direct access to the main aisle to contact service staff members, and the staggered layout which offered space, as well as the advantage of an optimum number of seats in various sections. 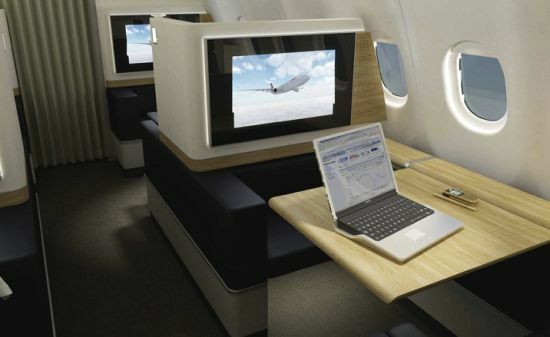 Other amenities included the storage space for guest luggage and stationery, foldable dining and cocktail tables, power outlets and even USB ports with the multimedia system on board. I prefer Asiana and Qantas. Feels comfy to me. Besides, I can do my paper works while sitting on my "bed".